← Participation in Discussion Groups and Colleges. I had a long phone call with Shelley Tumino and Kevin Purtee to set up the first College of 2016. This will be Corvair College #36, and it will be in Austin TX the weekend of April 1st, 2016. We will open the sign up page for it in mid December. The Western Building tour: This month, I am forming a plan that right after Corvair College #36 in April, I am going to push west, and do a very large 7 week tour of the Western states. The tentative plan is to hold two Mid sized College events, in Chino and Cloverdale California, but I also want to make stops nearly every night along the way, just as we did on this tour : A decade later: Midwest tour, winter 2005 I also plan to visit many builders projects like this House Call on Pat Green’s 1,000 Hour Pietenpol and this Corvair House Call, Range: 335 miles. My proposed track is to head through New Mexico and Arizona, run the length of California, Oregon and Washington, and turn east and head back over the top of the country. (I have to travel through North Dakota, because it is the only state in the US I have not been to.) I am open to any suggested stop on this track. It is my goal to meet 350 builders in person on the trip. We have a plan in place to use the months over the winter to stock pile popular parts in preparation for the trip. We have assistance lined up to send out regular orders, even though we will be far away. Between websites, email and phones, we will have an easy way for builders to get daily update on the location and stops along the way. Between now an January we will have a number of updates on this tour as details solidify. Gratuitous Dog Photo, ScoobE in blankets at CC#22, “When you only weigh 9 pounds, you don’t have a lot of spare insulation. When it got good and chilly, Scoob E enjoyed a pile of blankets on his chair at the College. Above, introductions at CC#17, At my side is James Barrett. I’m introducing him as the Longest Distance Traveled Winner. He was in rural Afghanistan a few days earlier. His route to the College was more than 10,000 miles. When a person claims he didn’t read about a college and missed the sign up, I point out that if a guy like James, on the other side of the globe, fighting the Taliban in a country locked in the 13th century has time to read about and sign up for Corvair College, I can reasonably expect anyone in suburbia to do so also. Above, in the middle is a man exemplifies the spirit of the Corvair Colleges, Mike Quinn of North Carolina, a skilled mechanic. He has attended a number of South Carolina Colleges going back to #12. He holds the distinction of being the last man working on the last engine running during the last hour at several Colleges. What makes this truly unique? None of the engines he was wrenching on were his. He came to the Colleges and shared in the creation of other people’s engines, and gave assistance to people new to engine building. 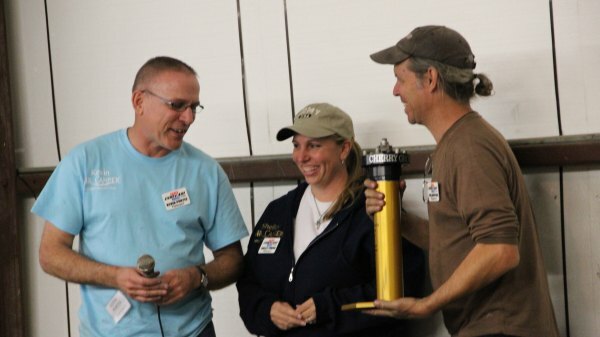 You can attend as many other aviation technical seminars as you like, but you will not find an old school homebuilder like Mike Quinn repeatedly attending them for the benefit of others. This is what sets Corvair Colleges apart. When anyone says they do not wish to pay their share of the colleges expenses, I point out how ironic it would be if I allowed this but Mike Quinn ended up working on their engine, after paying his share of the expenses and a portion of theirs. If I have to explain that to anyone twice, they are a poor match for the values I promote in the Corvair movement. 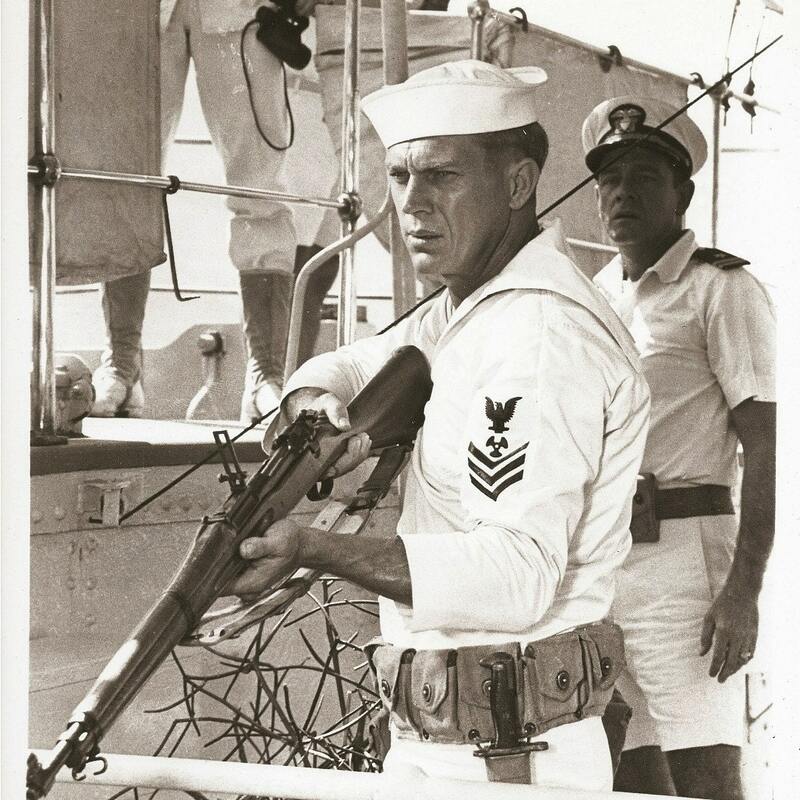 One of my favorite films is the very moving 1966 Steve McQueen film “The Sand Pebbles” , a drama about the crew of a US gunboat in China in the 1920s. During an uprising where the crew may have to fight to the death, the Captain of the ship, played by Richard Crenna, explains that any crewmember not committed to the mission who stays aboard is “A thief of every bite of food he eats and a trespasser in the bunk he sleeps in.” I can remember this line 40 years after I first saw it because it resonates with my upbringing where my parents taught us that people who expected others to pay for benefits they would receive are to be pitted, as they have a disease that curses them to never know friendship nor self esteem. What about holding a College located somewhere between Phoenix and Las Vegas. Aren’t there enough builders or interested people to justify a College somewhere around there? Or even right in Phoenix or Las Vegas. Please don’t bypass this portion of the country. I have already spoken to several Arizona guys about stopping for an event in that state, Probably the Saturday following the college in Texas. One of the AZ guys said we had to have an event there because he “Can’t get a visa to travel to the Peoples Republic of California.” I personally like a lot of California, so we will have events in both states. Ill leave that time period open for Arizona, I’m also willing to do strike missions into California or Nevada as long as I have RESCAP support. This is great news William!!! Hopefully one of the house calls can be in the beautiful foothills of the Rocky Mountains in Canada. You are welcome to stay as long as you like at our place. If you happened to make it through Fort Collins, CO and needed something to do for an evening, I’m sure we could schedule a get together with a few of the local EAA chapters. I’m building a Panther and another member of our local chapter is putting a Corvair in a Zenith. Any chance that you will do a College in Oshkosh during or around Airventure? Oshkosh is so intense, it is hard to picture having a setting where we could even effectively do a complete engine assembly for a demo. Guy who have seen us at a college and also helped us unpack at Oshkosh probably noticed that the trailer and truck are full, but with different stuff. Oshkosh has the tent and display stuff and lots of things like mounts, where colleges have the run stand, tools and internal engine parts. Kind of makes it hard to picture having the space for both without going to a very large towing system. I will take a look at the map, I have not been to Colorado in many years, it would be great to fit it in. -ww. Great News! I’ll be signing up for that one. I live about 40 miles from Chino in the high desert.. Great news, thanks William for thinking of us out west.